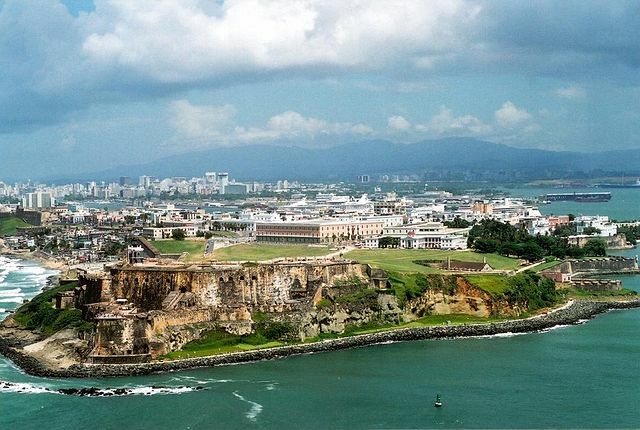 Heading to America’s biggest Caribbean possession this spring? Be in the know regarding the best that this island has to offer by checking out this brief backpacker’s guide to Puerto Rico. From where to stay, to what drink best defines this paradise, we cover all the bases below. There is lots to see and do as well as many places to visit in Puerto Rico so make sure you do a little research before leaving so you can hit all the top spots. After arriving in San Juan after a long day of lining up at airport security and rushing to make connections, you’ll want a convenient and comfortable way station from which to plan your adventures in Puerto Rico. A good place to for this purpose is Posada San Francisco, which is located directly in the centre of the Old Town of San Juan. Being a hop, skip and a jump to many of the best restaurants and bars in the city, it will allow you to kick off your time in the country with a blast, while also permitting you to make travel friends that might just accompany you on your exploits on this action-packed Caribbean isle. With ice cold air conditioning, clean surfaces throughout, and bike rentals that will help you explore the entirety of the Old Town with ease, Posada San Francisco is an excellent option for your first few nights in the country. Before you head off to the beach, take time to explore Fort San Felipe del Morro, which is one of San Juan’s most significant historical sites. Lauded as a UNESCO World Heritage Site for its central role in defending this port from foreign invasions over the years, Fort San Felipe Del Morro’s imposing presence at the head of San Juan has drawn many travelers over the years, and when you get there, you’ll find out why. While most Caribbean nations have great waters off their coast for snorkeling and diving, Puerto Rico stands out from the crowd even in this regard. The water here is crystal clear, and with a bevy of shipwrecks, lively coral reefs, and a multitude of marine species inhabiting all these environments, any time spent getting wet in the pursuit of underwater exploration will certainly not be in vain. There is a lot of life in the ocean off of Puerto Rico, but commonly consumed seafood is actually in short supply in its territorial waters. As such, this sizable island became a big consumer of pork over the years, with Lechón Asado being one of its best loved dishes. Once you sink your teeth into the slow cooked pulled pork, you’ll be comparing it favorably to the American BBQ you know well at home. Finally, during your nights out around the island, be sure to have a mixed drink with some Ron del Barrilito at some point. Amber colored and smoky in taste, it has a character that will stand out boldly from the mass-market rums that you’ve bought without a second thought at your neighborhood liquor store.